This metal poster features the star Michael Jackson ! This design wall poster is delivered with its magnetic hanging system. The dimensions of this Michael Jackson wall poster are 48 x 67.5 cm. Free delivery in Metropolitan France and Belgium for this character poster. Interplanetary star Michael Jackson finds himself in a metal wall poster. The author of the unique Moonwalk and timeless dance steps is well illustrated in this collector metal poster of the king of pop. With a spray effect on a gray background, this collector's edition of the singer will perfectly decorate your walls while bringing a contemporary touch. 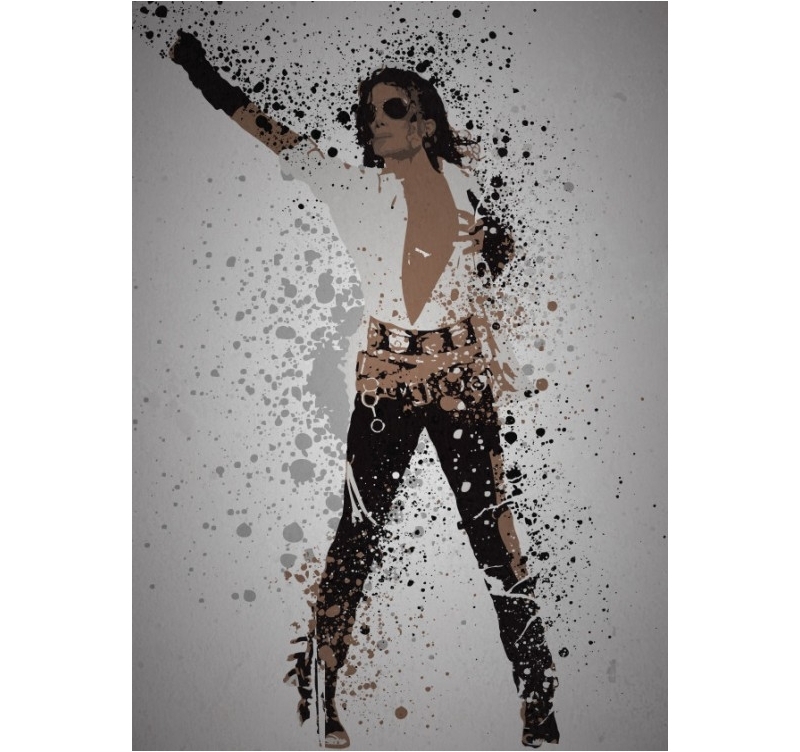 To authenticate this metal poster, a hologram and the signature of the production manager are placed on the back of the work, in order to have a real Michael Jackson collectible. Directed by our artist, this metal design poster comes with its magnetic hanging system.